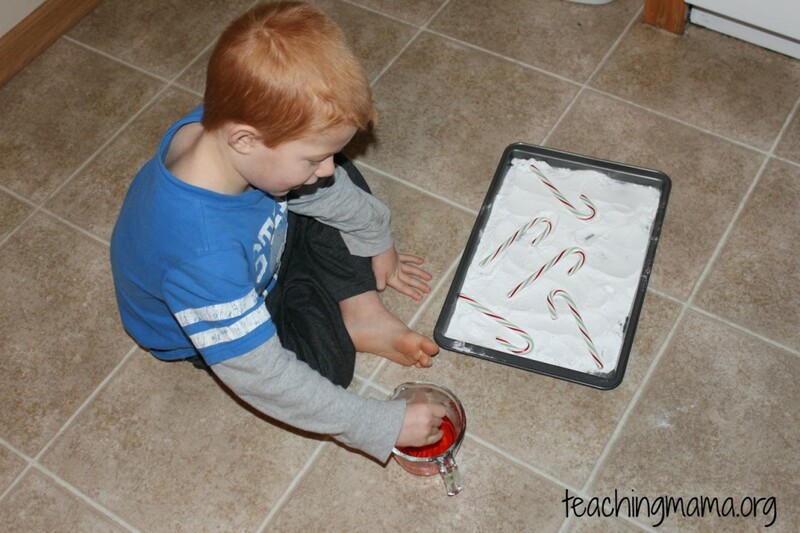 We tried out a really neat experiment this past weekend using candy canes! 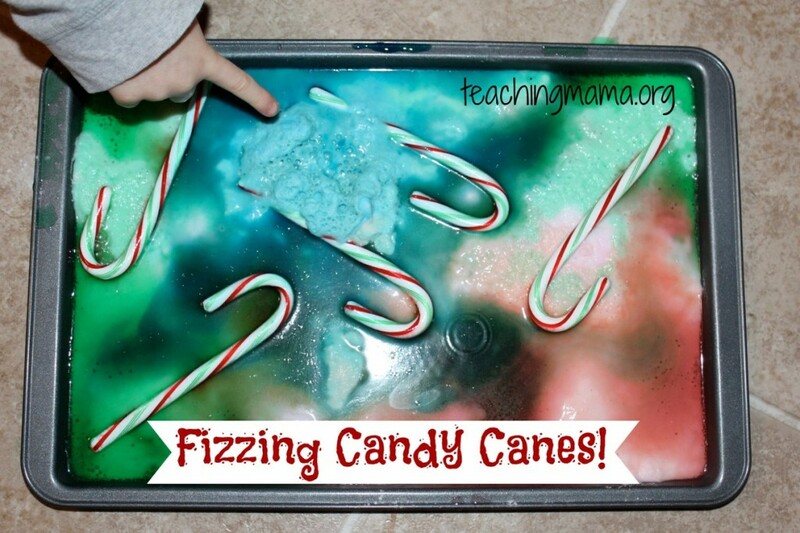 For this fizzing candy canes experiment, you will just need candy canes, baking soda, vinegar, and food coloring. 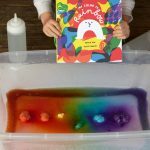 Your kids are gonna love this experiment! 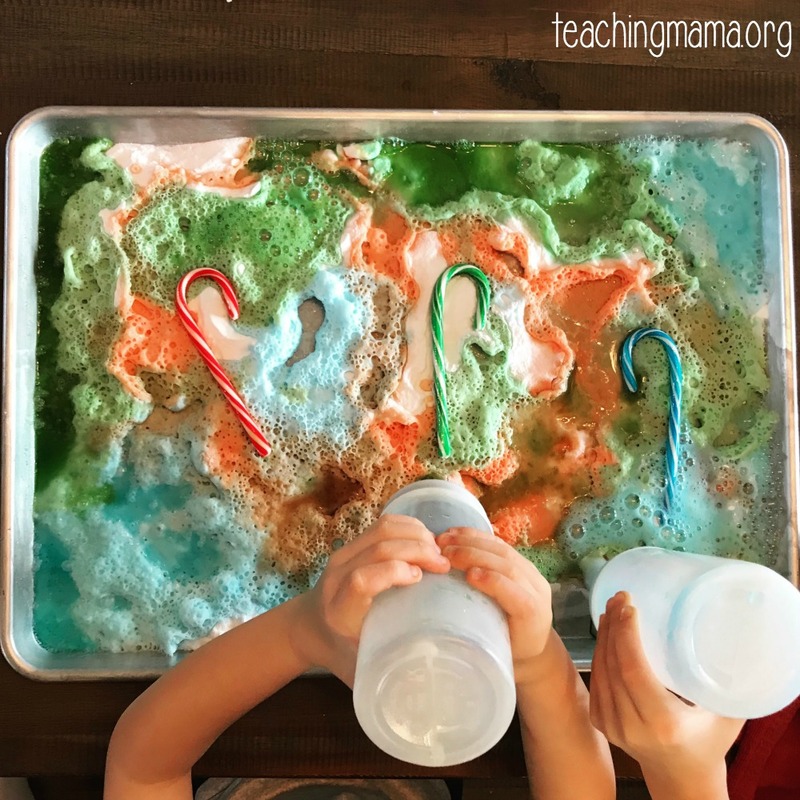 tray – use a cookie sheet! 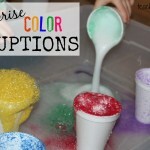 If you use a small container, it’s not as much fun because you can’t see the reaction as well! First, spread baking soda on a baking sheet. 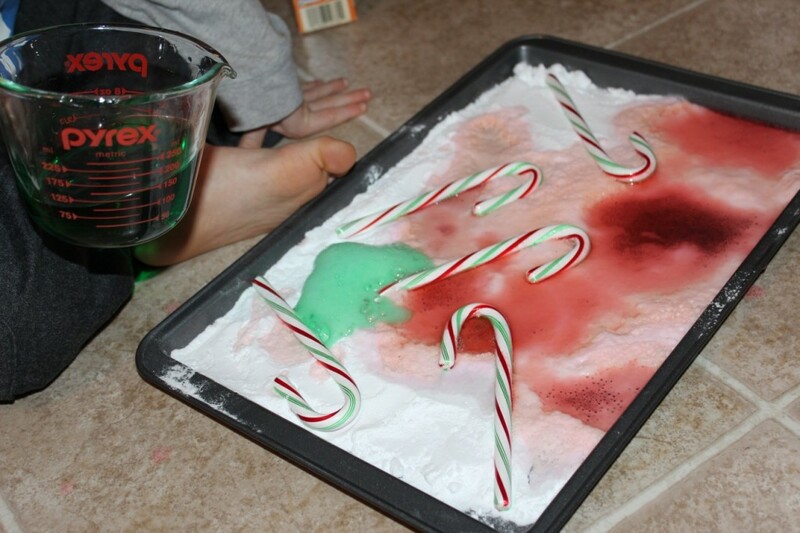 Then place candy canes on top. 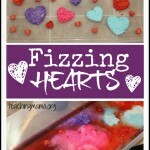 Next, pour vinegar into a cup and mix with food coloring. I also put in peppermint extract to mask the vinegar smell. 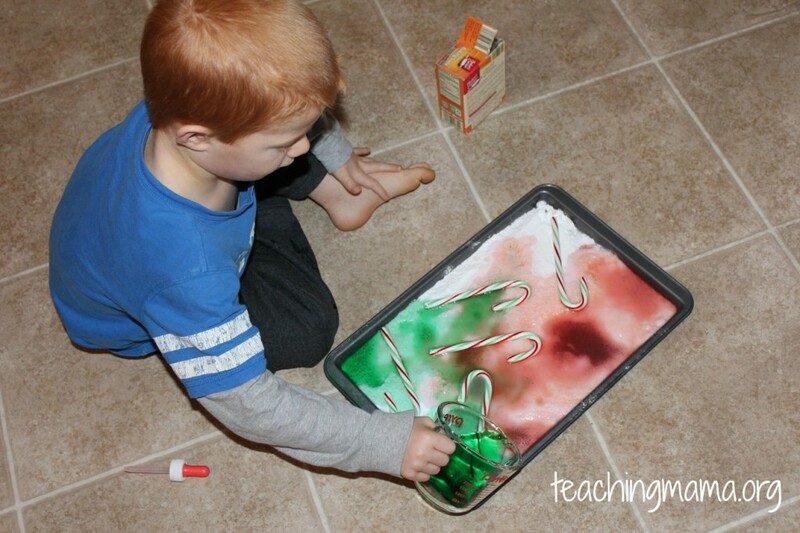 Then you can have your child use a dropper or spoon to drop the vinegar mix on top of the baking soda. 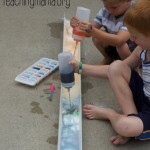 The dropper is good for building strength in a child’s hand and aids in fine motor skills. 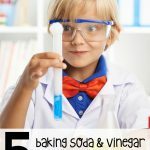 You can also just pour the vinegar with the cup. It looks so festive and colorful! 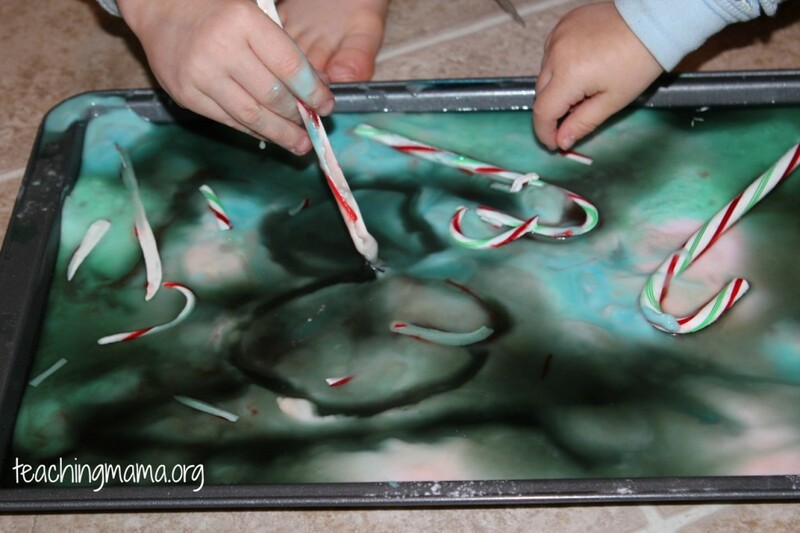 The candy canes did not do much while the baking soda and vinegar bubbled from the reaction. So we wanted to see what would happen if we let it sit for an hour. 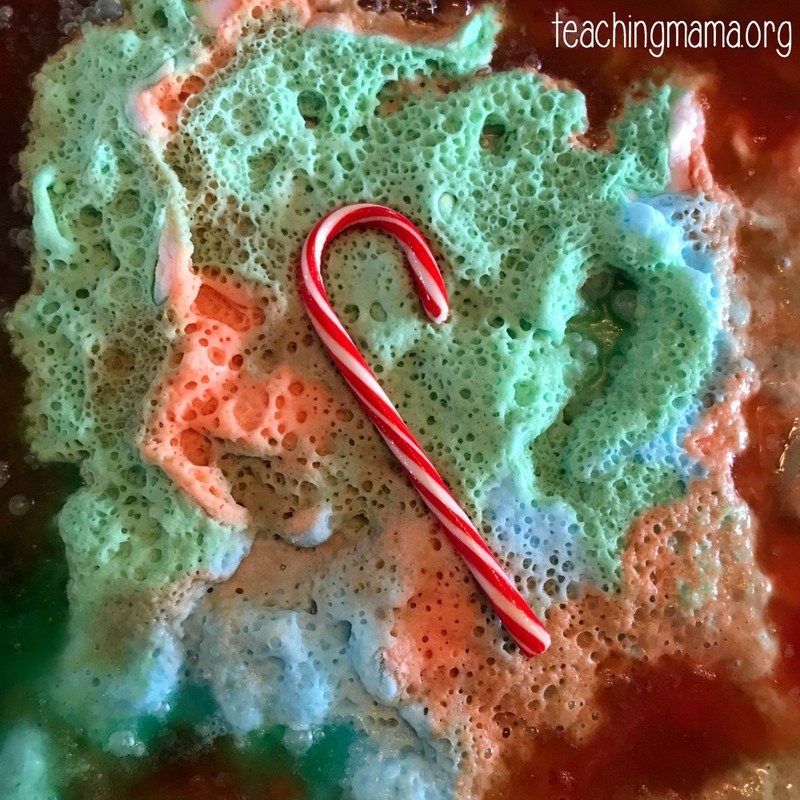 The candy canes basically dissolved! Troy picked up a candy cane and it broke in half. 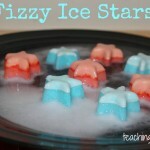 He still thought it would be fun to draw some shapes in the mixture though! And if you wait long enough, they will completely disappear!